Timesheet form is used to record the work hours of employees to a project. From your project page, click Create on Timesheet tile. From your navigation bar, go to Construction Phase > Accounts > Timesheet. Or you may use the search bar in the upper right corner of your portal by typing in 'Timesheet'. 2. Choose an Employee. If the employee is already in your My Contacts, you can simply select the name on the suggested result below. Otherwise, type in the name of the new employee then click the link that will be shown below. A modal will be displayed. 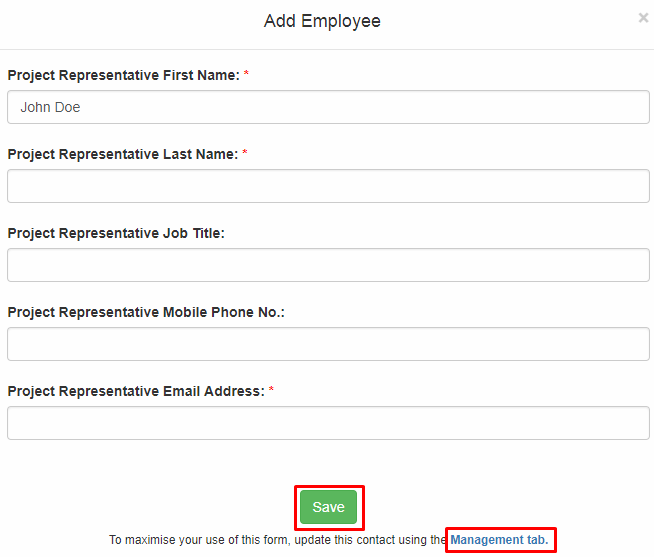 Input the details of the new employee that you want to add then click Save. Note: Click Management tab to expand the form. 3. Select Project Name. This field will only display if you create timesheet outside your projects and will only display existing projects on the options. 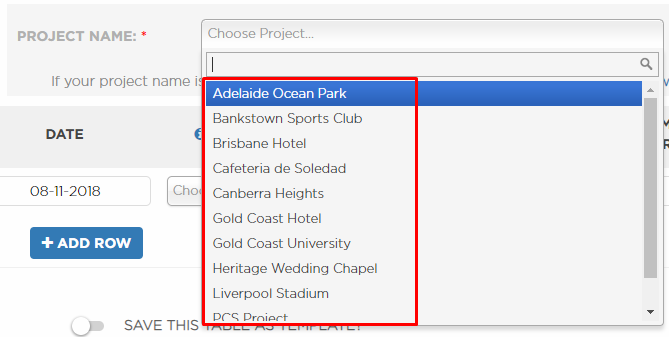 If you haven't created a project yet, click the New Project link below the Project Name field. Click here for more details. 4. 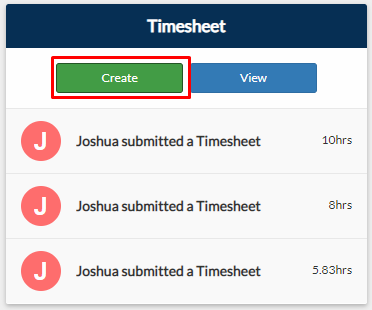 You can use a template when creating a timesheet by clicking the Use Template button, and choose from the listed templates available by clicking Use button. Note: Click here for more details. 5. You can also fill out the fields manually. By default, it is filled out by the current date. You can change the Date by clicking the field and choosing your preferred date on the calendar. When you add another row, the Date field will be incremented by 1. You can choose the cost centres that will be displayed on the cost centre field by checking/unchecking choices on the Cost Centre Settings. The Cost Centre field might be cleared if you use template and it doesn't match your project type or if you uncheck item(s) on the Cost Centre Settings. Enter the Start Time and Finish Time of the work. This field is required. You can also input the Break in minutes taken by the employee in between the work hours. You can choose whether you will input Start Time and Finish Time or Total Hours through the Column Display. You can modify the columns by checking/unchecking field name/s on the Column Settings. You can view the available templates on the View Templates button. Click Add to add another row or Delete to delete the specific row. You can also save your timesheet as template. Click Show Information to display the descriptions of some items on the timesheet form.